Whether you live with symptoms of ADD, ADHD, brain injury, depression, anxiety, PTSD, addiction, insomnia, Autism Spectrum, and want to increase energy, enhance performance or engage positively in relationships, neurofeedback retrains your brain to respond in a more ideal way. With neurofeedback, you can avoid undergoing invasive treatments, and in some cases lessen or discontinue certain prescription drugs. It's a natural way to treat condition you may have, helping you live a healthier and more pleasant life. Neurotherapies is headed by Dr. Jen Cosmas, has more than 20 years of experience in the field of clinical psychology. Her practice in neurotherapy, AKA neurofeedback or EEG biofeedback, trains the brain to function more efficiently, resulting in positive physical, emotional, and mental outcomes. She treats clients between the Monterey Peninsula and South Bay Area of California. 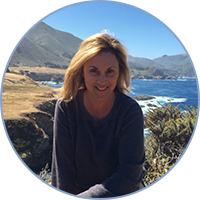 Jen uses a comprehensive approach when training clients by incorporating traditional talk-and-behavior-focused educational psychology with neurofeedback to further address her clients' issues. In order to properly address issues, investigative diagnostics are required. The comprehensive clinical interviews provide her with a wealth of information, ensuring the best treatment possible. Multiple treatment packages are available. Reach out to Dr. Cosmas to learn more. We can do some home visits out of the area.